This IBM Redbooks publication shows the different techniques customers can use to clone their DB2 system. 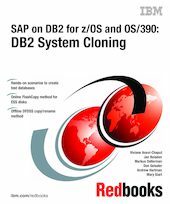 Although the scenarios in the book use an SAP workload, the DB2 cloning techniques we describe are not specific to SAP. Those techniques can apply to any DB2 system and the applications running on that DB2. The book describes hands-on details of selected DB2 database cloning scenarios, typically the most popular techniques currently used by customers, as well as the most efficient scenarios we would like to recommend to DB2 database administrators.